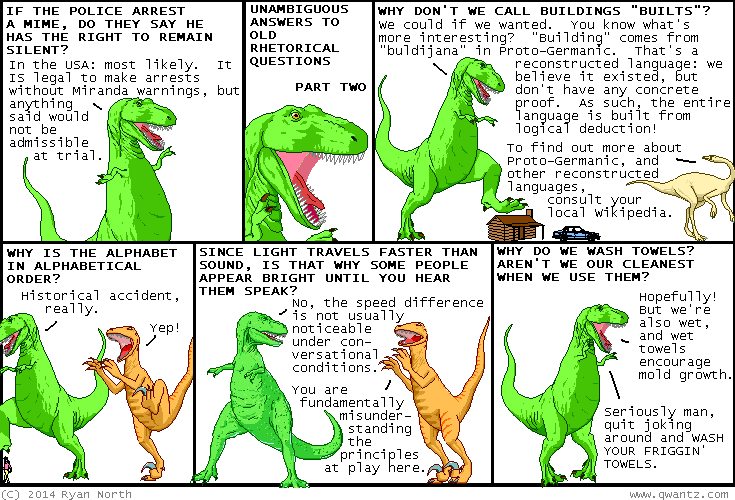 Dinosaur Comics - August 21st, 2014 - awesome fun times! –...the SPOOKIEST STORY EVER TOLD! One year ago today: big into dogs over here. computers are okay too.